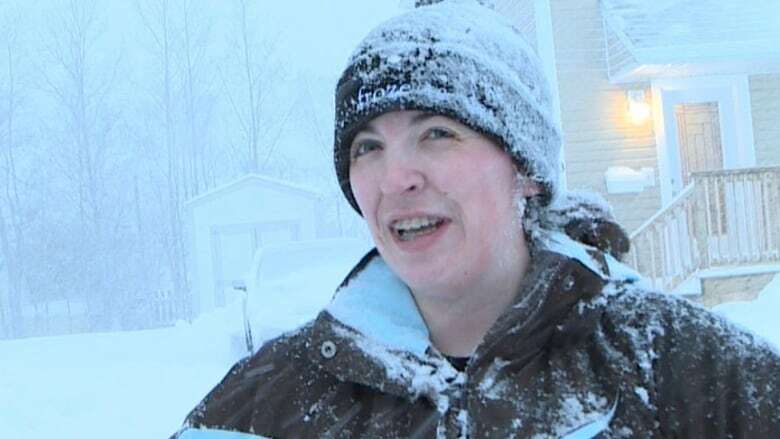 Gander has set a new record as central and parts of eastern Newfoundland go through a late-season snowstorm. 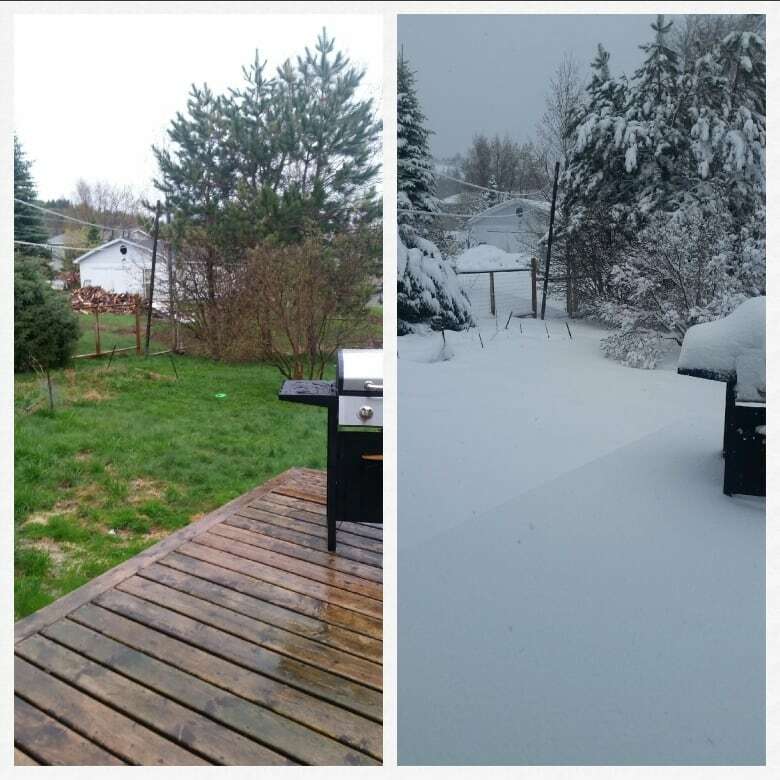 Snowfall began Wednesday evening, setting a record of 20.2 centimetres for May 23. The snow continued to be heavy overnight, and another 12 centimetres had fallen by 7:30 a.m. NT Thursday. 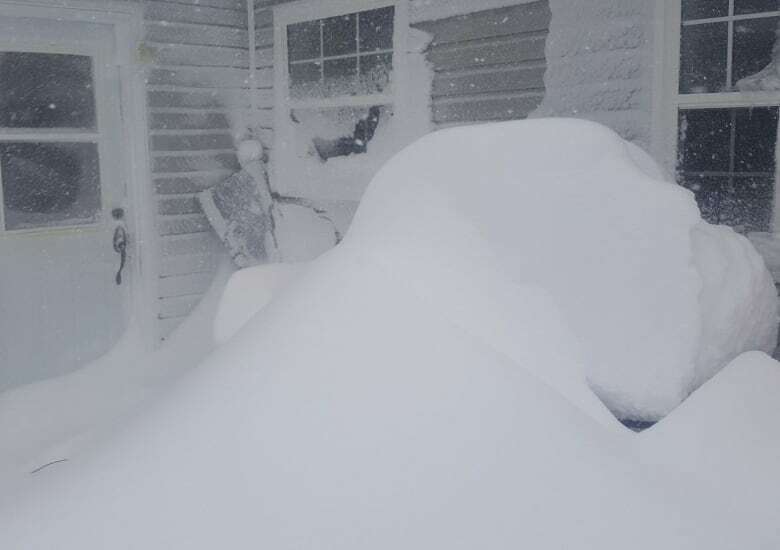 "Good exercise, but I'm rotted," said Amber Bennett, who had to find her shovel which was stored for the summer she expected. At 5:45 a.m. Thursday, she was putting it to work. Lorne Maxwell was shovelling out on Bennett Drive in Gander. "If I was smart, I'd move to Florida or somewhere," he laughed. "Other than that, it's Newfoundland. It could be worse." Snowfall warnings were in effect from Terra Nova to Grand Falls-Windsor, and schools in the area were closed for the morning, with another five to 10 centimetres expected during the day. Western Newfoundland was also getting snow. In White Bay, a snowplow operated by the department of transportation collided with a passenger vehicle around 5:30 a.m. The accident happened on Route 420 — known as the Hampton Highway. Two people in the SUV were taken to hospital and treated for injuries. The plow operator was not hurt, according to the department.